How do i get a downloaded wii iso to play? 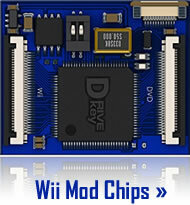 Remember that in order to play Wii ISOs on your console it has to be modded with one of the Wii Mod Chips. Nintendo Wii ModChip will bypass the copy protection and let you boot backups from DVD-R and DVD-RW discs as if they were original games. 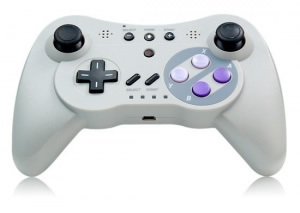 With a Mod-Chip in your Wii you can also play GameCube Roms, Emulated SEGA Genesis, Super Nintendo, NES and other rom games as well as run Linux and use your Wii as DivX, Xvid, MPEG4 player and play DVDs from all regions. You can download Wii ISO files in .wii or .iso file format. To save bandwidth the files can be compressed using zip rar or 7z. If you download a file that ends with the .wii - it means that it is a raw dump of the disc and it still needs to be decoded. Because it is a time consuming process you want to look for and download the dumps that end with an .iso . So download wii iso and you can burn them to the DVD-R directly without any changes. For downloading Wii iso files you will need uTorrent, Azureus or BitComet -- BitTorrent clients installed. 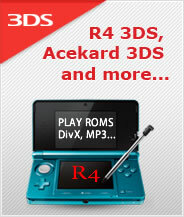 Want to play game backups from our site but do not like the idea of installing a ModChip? 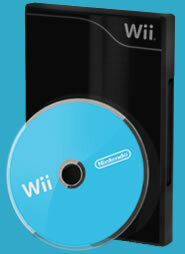 Unlock Your Wii for playing Backups - without a mod chip - with a special software based unlock tool and an SD card. Best solution for people who still have a warranty from Nintendo and don't want to loose it by installing hardware mods. Most Wii modchips like WiiKey and D2Ckey patch other region games so they become region free, but still you should first try an iso made for your region before trying others. + Pokemon Go for Android and Pokemon Emulators for old GAMEBOY poke rom games. Euro PAL version of Bully iso is out and readyfor download! Again a reminder - make sure to download the iso that was released for your region, because otherwise you risk getting double channels in your menu. If you really can't wait for the game to be released in your part of the world use RegionFrii to change NTSC <-> PAL and use Wii BrickBlocker to prevent firmware updates meant for another region from running on your console. Resident Evil The Umbrella Chronicles USA torrent / Battalion Wars 2 USA / Wii ISO Manhunt 2 USA / Sonic and the Secret Rings USA /Super Mario Galaxy [NTSC] [USA] torrent has been added. At the moment it is compatible with Wii consoles that have WiiKey (with latest firmware update), D2CKey and CycloWiz mod chips in them. WiiKey team has promised to add support for Mario Galaxy in the next firmware update. Also PAL console owners can play this release even thought it is an NTSC USA game, but be warned that there is a small Wii system update included with the game that at this time will add a duplicate weather and news channel on your we. GameCube ISO Torrents section has been open where you can download iso torrents of best GC roms for playing on Wii. Modded consoles will accept games from all regions (PAL/NSTC) so get the best GC games now! Latest Nintendo Wii ISO releases. Download them with Torrent client. We suggest uTorrent. Visit Wiiso forum for Wii ISOs to find direct download links. The Beatles: Rock Band, Tiger Woods PGA Tour 10, New Super Mario Bros. Wii, NHL 2K10, Little King's Story , Metroid: Other M, Punch-Out! !, Tony Hawk Ride. Boom Blox Bash Party, Resident Evil Archives:, A Boy and His Blob, Zelda Wii, Shaun White Snowboarding: World Stage. LostWinds: Winter of the Melodias, Dead Space Extraction, Final Fantasy Crystal, Super Mario Galaxy 2, Wii Sports Resort, Epic Mickey, Resident Evil: The Darkside Chronicles. Dawn of Discovery, Tatsunoko vs. Capcom, Naruto Shippuden CoNR 3, Ghostbusters The Video Game. Swords and Soldiers, Need for Speed: Nitro, Pokemon Rumble, Silent Hill: Shattered Memories, Call of Duty: Modern Warfare: Reflex. Drawn to Life: The Next Chapter. Download Wii isos com torrent files direct dwl. Nintendo pal & usa ntsc sims mysims games. Instructions How to burn Wii iso files to DVD. Games ddl fifa downloads the playing bittorrent releases mod roms crash titans burn mininova tennis zelda phantom dvd japanese for legend meteor sparking wiierd. Swords	Majesco Entertainment	Action	September 2010 Spider-Man: Shattered Dimensions	Activision	Action	09/29/2010 Sonic Colors	SEGA	Action	Fall 2010 Sid Meier's Pirates! 2K Games	Action Adventure	Fall 2010 Poképark Wii Pikachu's Adventure	Nintendo	Action Adventure	Fall 2010 New Carnival Games	2K Play	Action	Fall 2010. Download freeware software emulator for Final Fantasy games. Download NHL Slapshot EA Sports Sports September 2010. Wii Game Michael Jackson: The Game Ubisoft Dance Fall 2010. Metroid: Other M Nintendo Action and Adventure. Megamind by THQ is Platformer based on the movie with the same title. Madden NFL 11 EA Sports Franchise. Legends of the Guardians: The Owls of Ga'Hoole is a Warner Bros Interactive production Flight / Action game. LEGO Star Wars III: The Clone Wars by LucasArts follows in the footsteps of other SW games and is a Wii Action Adventure game. Latest Adventures from Kirby's Epic Yarn come from Nintendo. Never ending series of Harry Potter and the Deathly Hallows - Part 1 Electronic Arts Action. For Rock addicts Guitar Hero: Warriors of Rock from Activision is another "music" game of push the button at the right moment as the master computers tells you to do or you loose! Greg Hastings Paintball 2 - FPS with an innocent no killing theme when as Goldeneye 007 is a spy FPS where you get to kill them all. FlingSmash and EA SPORTS Active 2 are Fitness and workout games. Donkey Kong Country Returns as another great platformer. Despicable Me: The Game D3Publisher of America Action Adventure. DJ Hero 2 Activision Music Clone. Conduit 2 from SEGA is the FPS Nintendo Wii owners were waiting for. Finally we can put the Wiimote to good use and kill some aliens the way FPS should be. Cars Toon: Mater's Tall Tales. Call of Duty: Black Ops Activision FPS. Babysitting Mama - Simulation and Are You Smarter Than A 5th Grader? Game Show. Super Mario Galaxy 2 continues where the first Galaxy game left off and adds to the already grate universe with even more moves and better graphics. * SoftMod for Wii provides the same benefits as a mod chips without the hustle of opening the Wii case and installing the modchip. 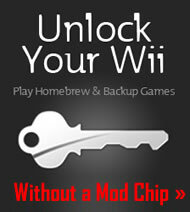 You can unlock Wii for playing backups and homebrew with a special software package. follow the link below for more detailed description. Download Top Wii Games iso torrents and Console emulating software that will allow you to play my Nes, Snes, Gameboy, GBC, GBA, GameGear, Sega Genesis, 32X, Saturn, Dreamcast, Sony PS1, PS2, N64, and MAME games.